A Centerville Insurance agency has earned the highest award from insurance carrier MutualAid eXchange (MAX). 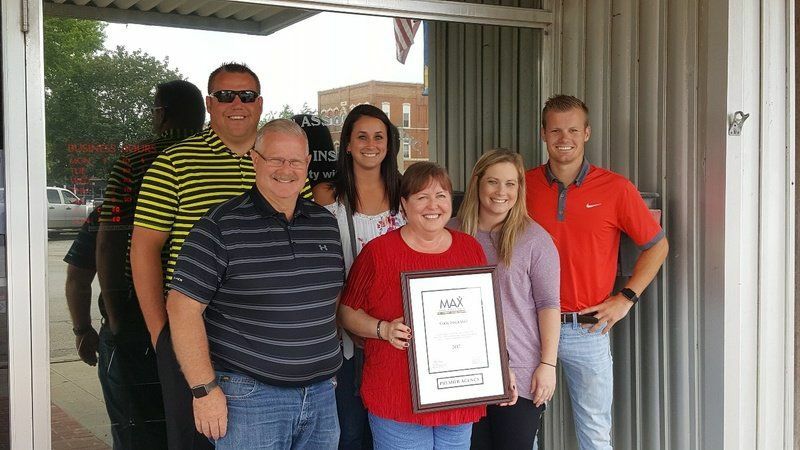 Cook Insurance, has been designated a Premier Agency for its commitment to MAX’s fair, faithful and socially responsible values and business practices. Dan Sales heads the agency. “Our slogan is ‘Security with Service,'” Sales said. “We put our insureds and companies first. We are also committed to community involvement. MAX has been an awesome fit for our communities and their coverage has been outstanding for our insureds.” Sales and his agency are very active in the community. They donate their time and talents to many causes including the Lions Club, Centerville Chamber of Commerce events, and YMCA youth programs. To earn the award from MAX, the agency met several criteria including a commitment to the MAX values of: Support for MAX’s Mutual Aid Ministries program that provides emergency grants to communities, families and individuals facing unexpected challenges.